Independent Sire news available here. Find the cow family you are looking for. Looking for inspiring herd reports? How do others manage their herd? Jam-packed full of favourites – that’s what HI’s April issue is… To start: Herd reports are one of HI’s most popular features, and this month’s herds are not to be missed! Join us as we travel to Darnlaw (UK), Maple-Dell and Hanson Dairy in the US and Canada’s Rolandale herd. 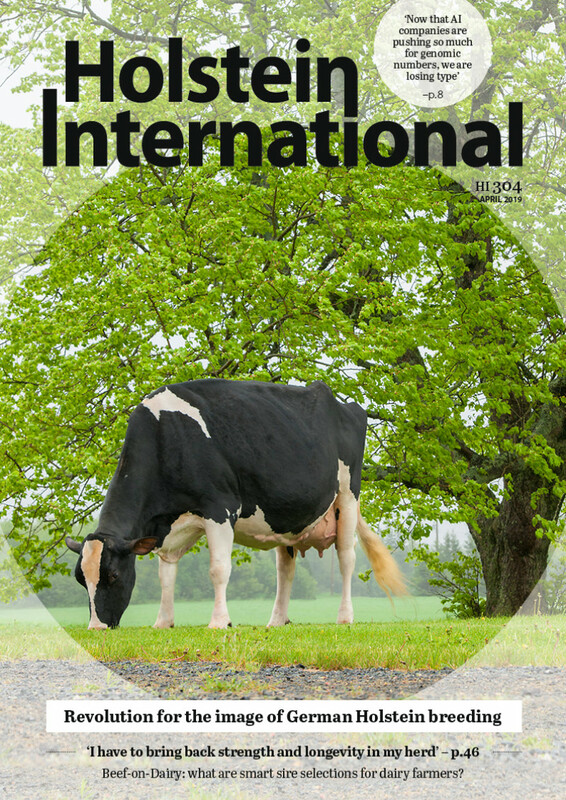 It is also no secret that HI’s cow family stories and bull reports are keenly followed by you, our enthusiastic readers – inside this issue discover more than 25 reviews! And more: April also brings an annual highlight… the 2019 Red Impact competition. Read through the profiles of the 20 candidates – and don’t forget to vote! The announcement of HI’s Nr.9 “Most Influential Breeder”, a history feature on breed legend Paclamar Astronaut, as well as interviews with Semex and Shore Genetics are extra attractions. So what are you waiting for?